GLOBAL POWER CO., LTD., the English name for the Tailift factory in Qingdao, China, was established in 2000. The company is a member of the Tailift Group which started in Taiwan back in 1973. The Tailift brand from Taiwan is well known in the China domestic and Taiwan domestic and export markets. In China, it has been continuously ranked as the number one foreign brand. 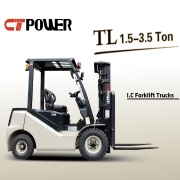 GC Power has been the brand known for the China Chinese export market for many years, and is was succeeded by CT POWER in 2013, which stands for China Tailift Power, for better unification and association with the Tailift brand and the Tailift Group. In 2014, the Tailift Group was ranked by MHI as the 15th largest industrial forklift suppliers globally. 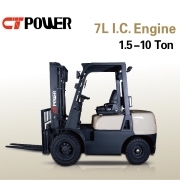 In 2015, GLOBAL POWER and the Tailift Group entered a joint venture with Toyota Industries Corporation. 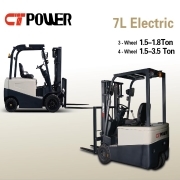 With R&D headquarters located in Taiwan and building on the technology and sophisticated craftsmanship from the Tailift Group, GLOBAL POWER focuses on producing reliable and practical materials handling products where users seek quality and dependability without needing to pay a premium. 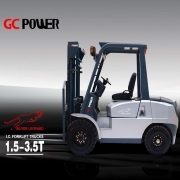 GLOBAL POWER is also one of the very few forklift manufacturers in China to self-design, obtain patents and manufacture its own forklift transmissions, offering performance, reliability and technical advantages over the competition. With annual production capacity of 25,000 units, GLOBAL POWER has obtained CE and ISO 9001 certifications, and have gained a good reputation among customers from Europe, Middle East, North and South America, Asia and Russia. Under the new joint venture, many exciting improvements are happening in GLOBAL POWER. GLOBAL POWER welcomes you to continuously check back. Your enquiry has been sent to GLOBAL POWER CO., LTD.